Project Spartan on Windows 10 PCs represents a break from Internet Explorer's checkered history, claims the company. After a series of leaks, Microsoft finally took the lid off its next-generation Web browser, dubbed Project Spartan, when it officially unveiled the Windows 10 operating system to the public on Jan. 21 during a press event. A new rendering engine, minimalist UI and features that allow users to "mark up the Web directly" came together for a fresh take on Windows-based Web browsing during a demonstration at the company's Redmond, Wash., headquarters. Now, Microsoft is detailing how Project Spartan is a departure from Internet Explorer (IE) and its past foibles. In a lengthy blog post Feb. 26, Charles Morris, program manager lead for Project Spartan, admitted that as the IE version numbers crept upward, Microsoft "heard complaints about some sites being broken in IE—from family members, co-workers in other parts of Microsoft, or online discussions." Most of those sites fell outside of the company's Web compatibility target, namely the top 9,000 sites that account for an estimated 88 percent of the world's Web traffic. As part of a new "interoperability-focused approach," his group decided to take a fork in the path laid out by previous versions of IE. "The break meant bringing up a new Web rendering engine, free from 20 years of Internet Explorer legacy, which has real-world interoperability with other modern browsers as its primary focus—and thus our rallying cry for Windows 10 became 'the Web just works,'" said Morris. While Project Spartan's new rendering engine has its roots in IE's core HTML rendering component (MSHTML.dll), it "diverged very quickly," he said. "By making this split, we were able to keep the major subsystem investments made over the last several years, while allowing us to remove document modes and other legacy IE behaviors from the new engine." IE isn't going away, however. "This new rendering engine was designed with Project Spartan in mind, but will also be available in Internet Explorer on Windows 10 for enterprises and other customers who require legacy extensibility support," Morris said. Morris and his team are also leveraging analytic drawn from "trillions of URLs" and the company's Bing search technology to help inform the browser's development, suggesting that future builds of Project Spartan will be more closely aligned with the Web's evolution and his company's new cloud like approach to software updates. 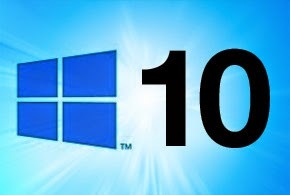 "For users that upgrade to Windows 10, the engine will be evergreen, meaning that it will be kept current with Windows 10 as a service," he said, referencing the company's ambitious new OS strategy. A revamp of Microsoft's own practices is also helping to bring the team's vision to fruition, Morris revealed. "In addition, we revised our internal engineering processes to prioritize real-world interoperability issues uncovered by our data analysis. With these processes in place, we set about fixing over 3000 interoperability bugs and adding over 40 new Web standards (to date) to make sure we deliver on our goals," he stated.